What Design Can Do (WDCD) is a platform for the advancement of design as a tool for social change. Since its inception in 2011, WDCD has undertaken numerous activities to promote the role of designers in addressing the world’s most pressing societal and environmental issues. It has done so by showcasing best practices, initiating discussions and facilitating collaboration between disciplines. So far, WDCD has hosted eight successful international design conferences in Amsterdam, and three in São Paulo, Brazil. Through its print publications, website, blog, and social media, WDCD reaches an international community of engaged designers and creatives. Alongside events and publications, WDCD aims to mobilize the creative community by launching and running various design challenges. In 2019 WDCD will launch its first design festival in Mexico City in May, and a WDCD Labs event in Amsterdam in November. In 2020 WDCD launches its third climate action challenge running in Delhi, Mexico City, São Paulo, Nairobi and Amsterdam, in close collaboration with the Ikea Foundation. Offering support to our WDCD Challenge programmes in different cities across the globe, as well as for our events in Mexico City and Amsterdam. Writing and creating for WDCD (online) channels such as, newsletters, social media and websites. Supporting the procurement and maintenance of brand- and media partners. 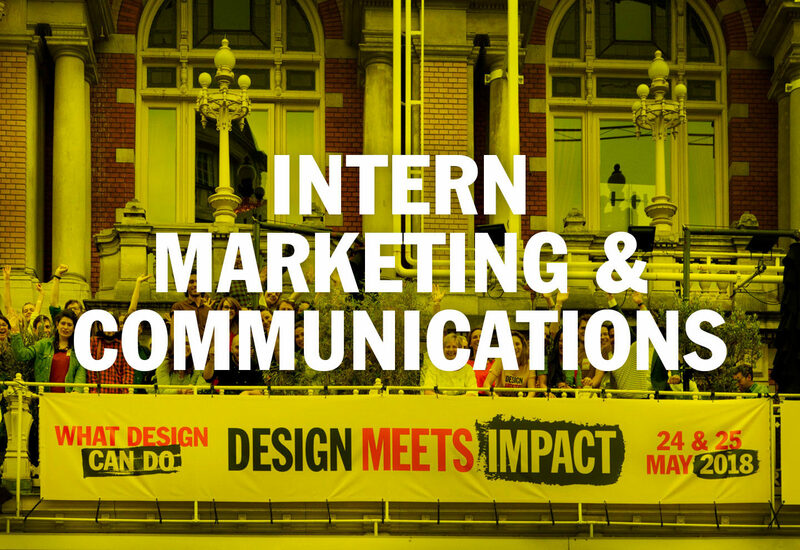 An interesting internship in a creative social impact organisation with an international scope and network. You will be working in a small and dedicated team of creative professionals based in the centre of Amsterdam. The working atmosphere is friendly, team-oriented and encourages individual input and development. The internship fee is € 250 per month. Best lunch in Amsterdam is included. Send your CV and motivation to Daphne Schmidt (daphne@whatdesigncando.com).